A simple quilt in neutral colors for a couple of women who have taken care of my great aunt. I didn't want to overwhelm them with anything too bright or bold or modern, so I stuck with a classic rail fence design, straight sashing, all in beige, brown and blue reproduction fabrics. 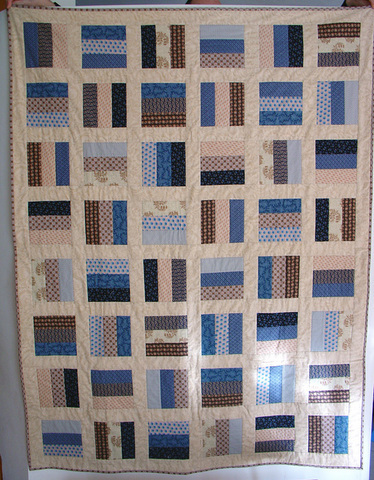 Quilting was done in the ditch to keep the design simple.